This morning, thanks to some crazy previous guest, the alarm clock in my hotel room went off an hour earlier than my phone alarm. I woke up at 4am, lost in a king size bed. What kind of boat I was on and why it was so dark? Was I wrapped in the sail? And what was that sound? Not the sound of my crew-mate’s watch alarm nor the creaky rigging. Where was I? It took a few minutes to figure it out: not in a sleeping bag and not on a boat. Both were already miles behind me. I last wrote on the eve of a fresh adventure: one month of sea kayaking and sailing with the NOLS Pacific Northwest branch. That month just ended yesterday. The only two words I have right now to describe the experience: intense and immense. For the last four weeks, I lived in close quarters with two instructors and seven other students exploring the waters around Vancouver Island. When not asleep, we paddled, sailed, camped, cooked, studied, and goofed off together … and that’s just the start of it. There are lots of stories – from duck decoys to minor medical emergencies, surprise weather and port sports. I could probably write a whole post called “Adventures of the toileting kind,” but how many of you want to read poop stories really? I’m still in the process of digesting all that I learned this last month – I’ll try to make it better than a poop story. Those of you who have asked about the trip already, I hope I can do your curiosity justice and not bore you with the little things. I’m going to try to condense it into four posts (following this one): paddling, sailing, life on water, and coming ashore. Lots of pictures to come. 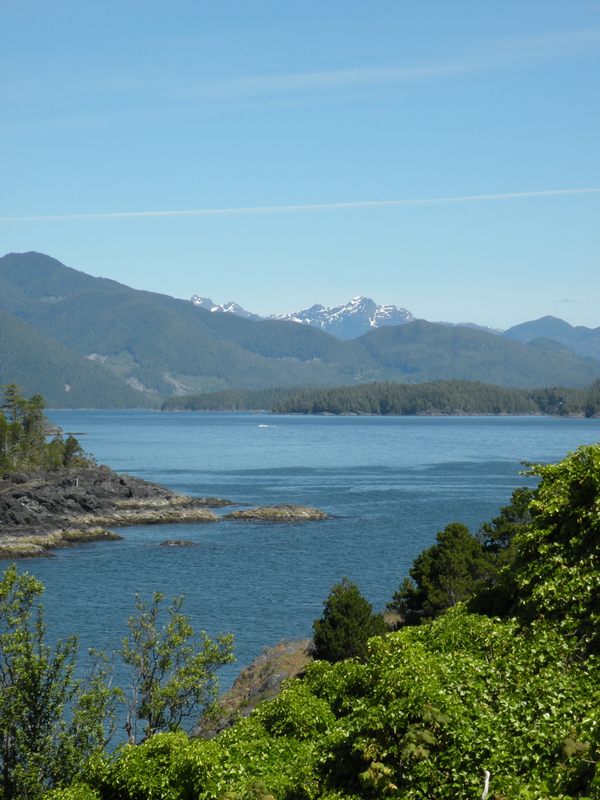 For now, a view of Vancouver Island’s west coast.